OKLAHOMA CITY (AP) – Oklahoma’s new governor and other state political leaders are set to outline their goals for the upcoming legislative session. Gov. 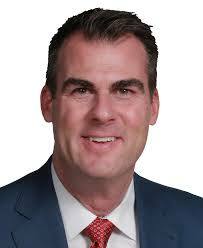 Kevin Stitt is expected to speak Wednesday at a gathering hosted by The Associated Press at the state Capitol. Joining Stitt will be other Republican leaders including House Speaker Charles McCall and Senate President Pro Tempore Greg Treat. House Democratic Leader Rep. Emily Virgin and Senate Democratic Leader Sen. Kay Floyd also plan to speak. Treat announced Tuesday that Senate Republicans are agreeable to Stitt’s request for power to hire and fire directors of the state’s largest agencies. Stitt is expected to reveal more of his plans Feb. 4 during a State of the State address.